Old style, 3D attractions are still available at WDW. Not the new “realistic” 3D like Star Tours or that will come with Avatarland, but the in-your-face, made-you-jump type. I personally am a fan of them. Disney does them very well. Here are my rankings of the current WDW 3D attractions. 1. Muppet Vision 3D in Disney’s Hollywood Studios: This is the Muppets at their very best. From the queue (make sure to read the crates) to the finale’,it is entertaining, pure muppet silliness. The 3D really does add to the experience. 2. 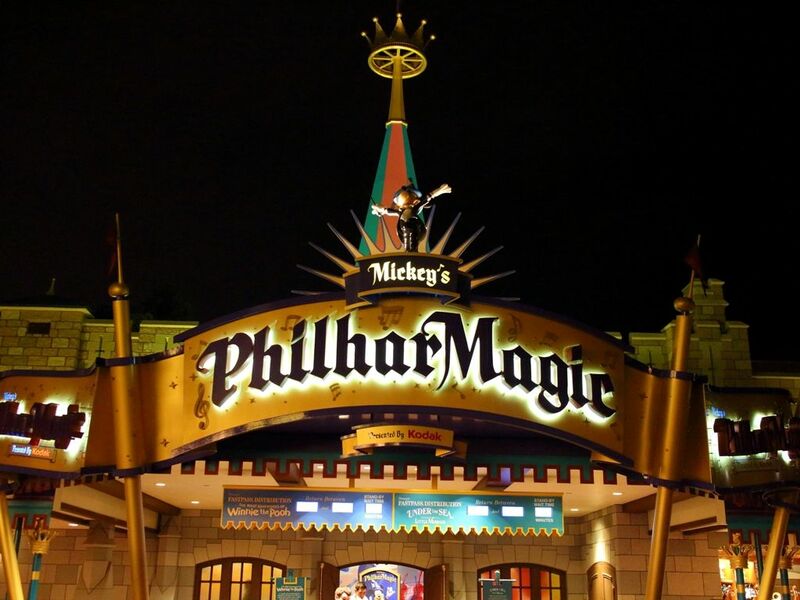 Mickey’s Philharmagic in Magic Kingdom: Another very entertaining show, hosted by Goofy, and starring Donald that takes you from conductor/sorcerer Mickey through some of the most loved Disney songs and movie scenes. Donald and Goofy are funny. The 3D is in-your-face. I love the smell during the Aladdin scene. So grab your opry glasses. This is a must see. 3. StormStruck in Epcot: This is not the silly and goofy fare of the first two. The use of 3D and other special effects make this a great attraction, though. It is an educational quiz about home construction and tornados in Innoventions hosted by Steve Cantori of The Weather Channel. Another must see. 4. 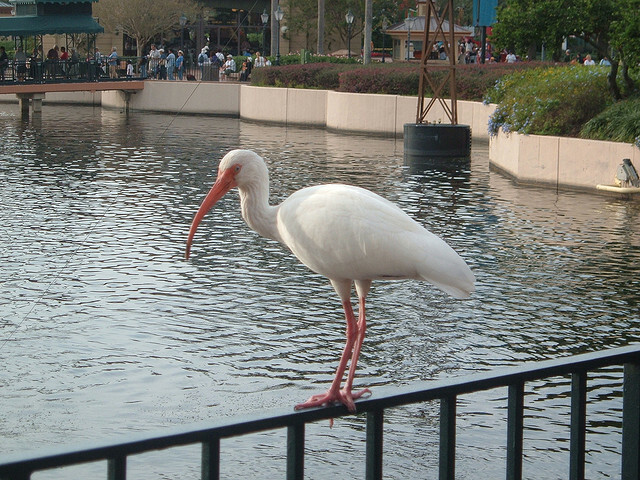 It’s Tough to be a Bug in Animal Kingdom: Although I have this one ranked near the bottom of the list, I still recommend that you check it out if you never have. Maybe watching “A Bug’s Life” prior to your next visit would help to get you re-acquainted with the story. This one is fun, but can be intense for little ones. The first time we did this in 1999, Roly’s big sister, 8 at the time, left screaming at the top of her lungs, running as fast as she could to the exit after a certain stinging special effect. 5. Captain Eo in Epcot: Unless you are a huge Michael Jackson fan, the two best things about this attraction are leaving and having the right to gripe about it with others afterwards. The waits for these attractions are usually very short to nonexistent. Most of them are worth checking out. Is Disney literally a year-round activity? March Madness is here. Our College basketball team, the University of Louisville men’s basketball team played in the Elite Eight yesterday for a chance to go into the final four and it occurred to me that basketball for us is mostly year-round with the actual season, recruiting and the like. Then it occurred to me that while basketball is nearly a year-round activity, Disney has truly become a year-round activity. Our Disney obsession is really gaining ground. 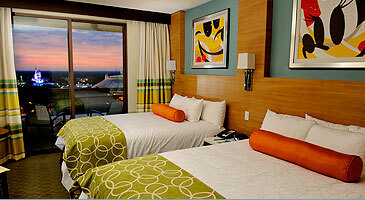 Due in part to DVC (Disney Vacation Club) ownership, we are going to Disney World more and more. We started with Christmas, then Flower and Garden, then Food and Wine, and now other times of the year. When we are home we are thinking of our next trip and even while we are at WDW we are planning our next trip! We read websites, twitter feeds, blogs about Disney. I shop for Disney items (both at the parks and at home)! Our collection of Disney pictures and knick-knacks keeps growing exponentially. This has really become a year-round sport/activity. There are far worse things to have as hobbies/obsessions. Everyone needs something to think about and plan for and do. 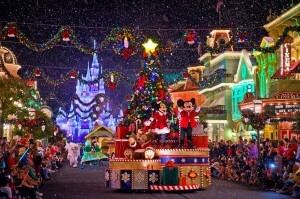 Ours happens to be Disney and it involves the whole family which is a good thing that we can share this as a family. We go to the parks together, watch Disney movies together, went on a cruise together, went to Aulani together, now write the blog together. Disney has actually brought us closer as a family so that is a good thing as well. 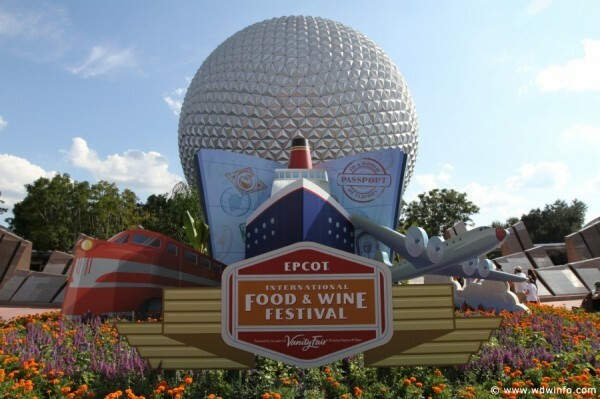 Other events are all day events, and free, like the the International Food and Wine Festival, and the Flower and Garden Festival. So to summarize, Disney has become a year-long activity in one form or another. As was reported this week, Innoventions West and The Great Piggy Bank Adventure in Innoventions East at Epcot are set to close on April 30. A lot of people say that Innoventions is dated and are glad that changes are coming. I will wait and see. I personally like several of the attractions and will miss some of them. 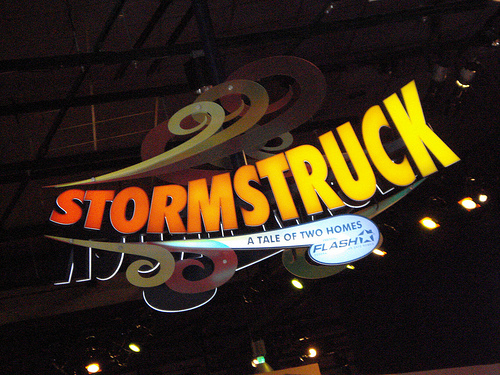 The current exhibits in Innoventions East are StormStruck, Habit Heroes, The Sum of All Thrills, Vision House, and Take Nanooze Break. The West Exhibits are Where’s the Fire?,Think, The Great Piggy Bank Adventure, and Videogame Playground. Below are my rankings of the current attractions. 1. Stormstruck: If you have not been to this, please do. The lines are short and the show is both fun and educational. You will jump. 2. The Great Piggy Bank Adventure: This one is on the chopping block. It is a family favorite. Roly mentioned it in Overlooked Attractions blog. It is a series of games that 2 or 3 can play as a team. The games are entertaining, require team work and teach about investing. If you will be at WDW before April 30, I recommend that you check it out. 3. Sum of All Thrills: You design your own thrill ride and then test it in a simulator. The lines can be long (for Innoventions), but the result is worth it. It is educational, too. 4. Vision House: Another soon to be EX-attraction. You tour a house with new, eco-friendly products. They have done a good job of keeping it updated and relavent. We will miss it. 5. Where’s the Fire? : Soon to be gone. A team game where you find fire risks in a house. I enjoy it, too. 6 – 9. All forgettable. To me, Epcot is about making learning entertaining. Innoventions has lived up to that for me. I hope that Disney has something planned for the space. Epcot needs more to do, not less. Having said that, there are a couple of things that I hope are not done. First, I hope that the Tony Stark Hall of Armor and related exhibits that are closing in Disneyland’s Innoventions are not transferred. It is okay, not great, but it offers no educational benefit. Secondly, I hope it is not filled with another meet and greet. If you have heard any rumors about replacement plans, or if you have any ideas, I would love to hear them. * “Tomorrowland” sneak preview will be starting in mid-April at California Disneyland in the Tomorrowland Theater and at WDW Epcot in the Imagination Pavilion (home of Captain Eo). The preview will last 10-15 minutes. “Tomorrowland” opens on May 22. 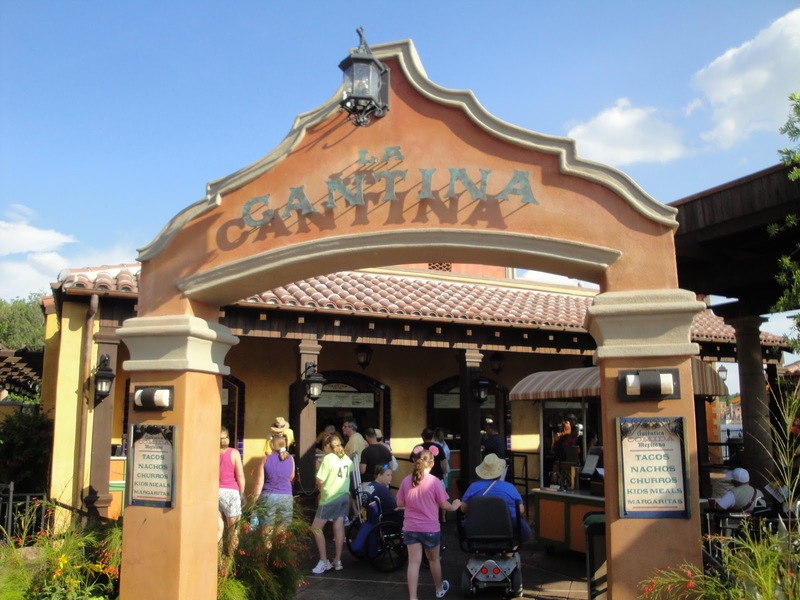 * Skippers Cantina, a Jungle Cruise themed restaurant, is coming to the Magic Kingdom. * All exhibits in Innoventions West at Epcot will close for good on April 30. 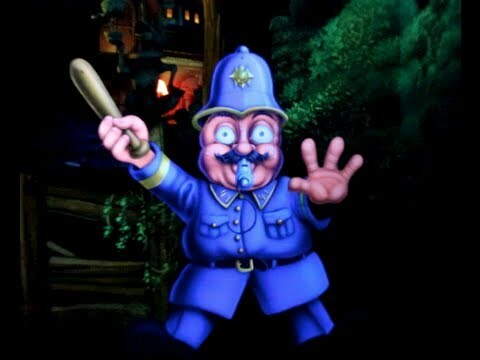 This includes Where’s the Fire?, Great Piggybank Adventure, and IBM Think. It is unknown what the plans for the area are. 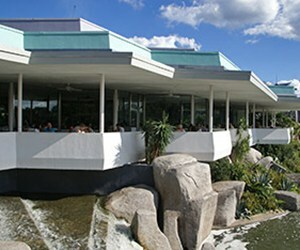 * The Dream House in Epcot’s Innoventions East is set to close, too. * Innoventions in Disneyland California is set to close at the end of March. It is rumored that Star Wars attraction(s) will take its place. * Disney’s Animal Kingdom and Animal Kingdom Lodge were granted official accreditation by the Association of Zoos and Aquariums. 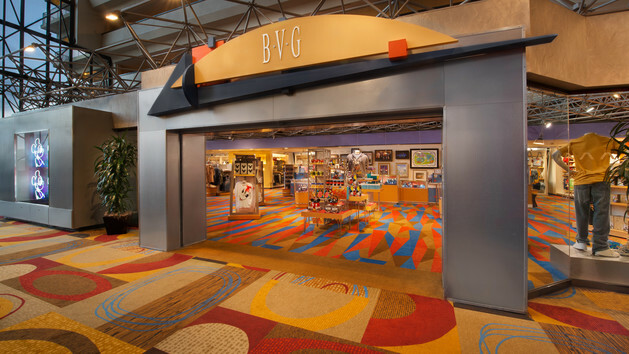 * Art in the Garden will be at the Epcot International Flower & Garden Festival from March 27 – 29 featuring art exhibits along the World Showcase. * An exhibit of concept art from the upcoming Pixar movie “inside Out” has opened at Disney Hollywood Studios in the Production Gallery of the Magic of Disney Animation. * Marvel “Super Heroes Headquarters” store will open in May at Disney Springs (Downtown Disney) in Florida. * Registration for Avengers Super Heroes 1/2 Marathon at Disneyland California opens on April 7. * DVC Polynesian Villas and Bungalows open on April 1. * Disney Cruise Line announced its first British Isles itinerary. Leaving from Dover, England on 6/5/16, the 12 night cruise will make stops in England, Ireland, Scotland and France. From our calling, it appears that it has already sold out and there is a waiting list. * Disney bans smoking in all of its films rated PG-13 or below. * Disney’s Aladdin celebrated its first anniversary on Broadway on March 20. * Disney Infinity: Marvel Super Heroes are adding Loki as a playable character. 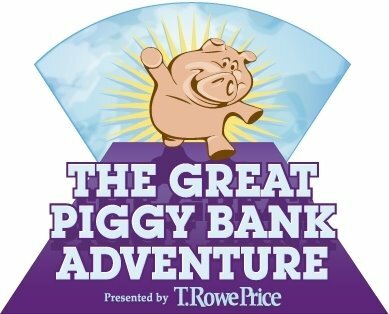 *Editorial: We love The Great Piggy Bank Adventure, Disney Dream House, and Where’s the Fire and will miss them. Epcot needs more attractions. I hope that there are plans for replacements, better than Habit Heroes, or an entirely new attraction. 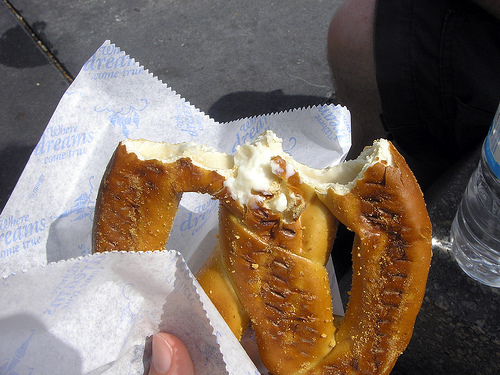 My absolute favorite snack in all of Disney World is the cream-cheese filled pretzel. It is like a desert in some ways filled with warm, gooey cream cheese but not too sweet. You can find these in various locations in Magic Kingdom such as pretzel stands and in Tomorrowland at the Tomorrowland Terrace Restaurant. In Hollywood Studios I have found them at pretzel stands. I first found one at a pretzel stand during the Osborne Family Spectacle of Dancing Lights and was hooked. I have even done web searches to find out where to get these special pretzels. I have never seen them at Epcot or Animal Kingdom. Another treat which is more well known that is actually addictive is found at Gaston’s Tavern at Magic Kingdom and is known as LeFou’s Brew. It is non-alcoholic and is made with a combination of juices. The foam at the top is my favorite part. It is so good as to be indescribable. An even more well known treat that is one of my favorite’s is Dole Whip. This is found at both Magic Kingdom and at the Polynesian Resort. At Magic Kingdom you can find this wonderful treat at Aloha Isle in Adventureland. It is a frozen treat available in pineapple, orange, vanilla or swirl flavors. I think the best is pineapple. The lines for this are almost always long but it is worth it. Some of the treats you can find in the Confectionery. 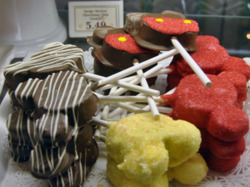 Rice crispy treats dipped in icing are another favorite and can be found at both the Confectionary and the Main Street Emporium. These can also be found at the resorts gift shops. These are better than any other rice crispy treat I have had anywhere else. Funnel cakes are another treat that are fantastic. They can be found at the American Pavillon at Epcot, Sleepy Hollow Refreshments at Magic Kingdom, and Oasis Canteen at Hollywood Studios. This picture shows Angus Macbadger. The outside of the ride itself is wonderfully themed-unlike Fantasyland rides in WDW which I covered in my Disneyland Fantasyland review- in order for it to look like you are walking into Toad Hall. 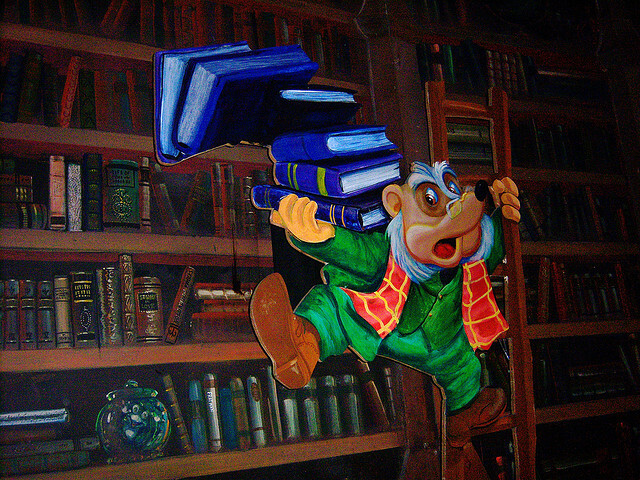 The queue itself is themed to look like Toad Hall, where the ride starts. Mole is interrupted in his dinner. 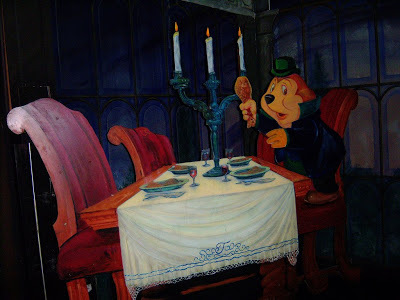 The whole ride is based around the part you never see in The Adventures of Ichabod and Mr. Toad; Toady’s ride in his motorcar. You drive by and through some of the scenes from the movie while trying to escape the police. You narrowly escape mowing down a few people, escape an explosion, and almost collide with a car. At the end of it all, you go to the place where all bad little toads go. The Hell scene is said to be one of the main reasons they took out the ride in WDW. That was before my time though, and the Disneyland version is all I have to go by. Now, I love thrill rides, and I love rides based on my favorite movies. This ride is neither of those, and yet it is my favorite ride in the either of the California parks. In my opinion it is the third best ride at all six of the disney parks I have been to, right behind Peter Pan and Tower of Terror. My favorite part of the ride. If Disney ever takes out this ride, I will be extremely mad. I believe I know now why there was such pushback against Disney removing the ride from WDW. * Yesterday, 3/19/15, Magic Kingdom guests were treated to two flyovers and aerial displays over Cinderella Castle by the U.S. Navy Blue Angels. 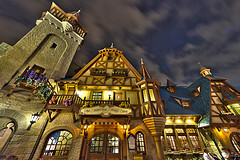 Check out the “Disney Parks Blog” for pictures and video. * Be Our Guest Restaurant in Magic Kingdom’s New Fantasyland will begin testing a prix-fixe breakfast from 8-10 a.m. starting today and running through June 18th. * Smokejumpers Grill at Disney’s California Adventure Grizzly Peak Airfield opens today. * Reservations can be made beginning today for “Wishes Firework Dessert Party” at the Magic Kingdom. Tomorrowland Terrace will be home of this experience. * “For the First Time in Forever” A Frozen Sing-Along celebration is moving to Hollywood Studios Superstar Television Theater, formerly home of the American Idol Experience. The theater will now be called the Hyperion Theater. * Disney Egg-stravaganza, a scavenger hunt for Disney themed Easter eggs, will run from March 27th through April 5th, at Disneyland in California and Epcot in Florida. 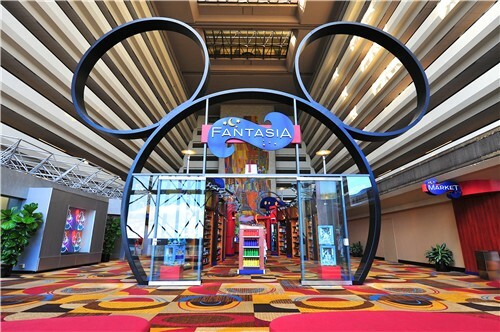 * MagicBands are set to replace parking passes at WDW resort hotels. 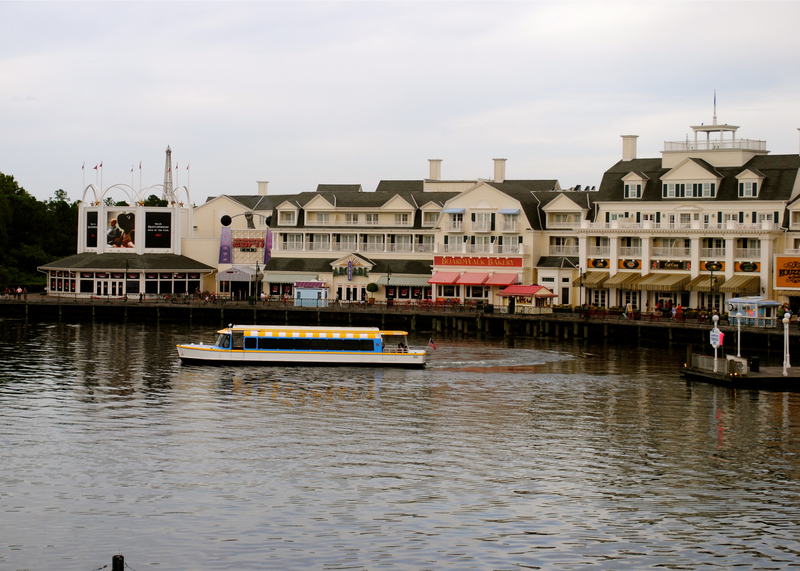 Disney’s Yacht & Beach Club Resort and Disney’s Beach Club Villas (DVC) will be the first to undergo the change. 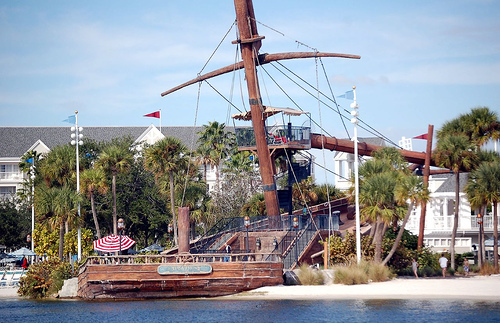 * Disney’s Polynesian Village Resort East Pool will soon close for 8-10 months for refurbishment. * A new Muppets Short Series is coming to Disney Jr.
* “Cinderella” opened strong as the top grossing movie for last weekend.